My heart races the second I step into the ring. My mind fixates on the subject in front of me when the bell rings. My body positions itself against my competitor as we begin to bout. My passion is taekwondo, the Korean martial art characterised by its emphasis on head-height kicks, jumping and spinning kicks, and fast-kicking techniques. My love of taekwondo began when I was five years old. My parents enrolled me in a class after my coach, a patron of a local shop that my parents owned, told them that the sport helped with motivation, self-discipline, and general health. An active child, I seldomly wanted to sit still so my parents thought that taekwondo would allow me to channel all my energy. How right they were. Competing since I was six years old and participating in about six competitions each year, I was undefeated until I was 15 years old. I fought at all types of competitions - local, state, and national titles, and each competition had at least two to four fights within them. It was exhausting, exhilarating, and extraordinary. To be the best athlete that I could be, I knew I had to train with the world’s top athletes. At 15 years old, I moved from my hometown of Bundaberg, Queensland, to Melbourne, Victoria, to train with a renowned club, City West Taekwondo, and start competing heavily in tournaments. At 16 years old, I fought at the British Open in Manchester, England, winning bronze and officially ranking me globally for the first time. It was an amazing feat, and one that I’ll never forget. At 18 years old, and after I studied taekwondo in South Korea, I trained with an Olympic coach in Sydney, allowing me to work out with some of the best taekwondo athletes in Australia. Unfortunately, during one of my fights, I dislocated my jaw. After continuing to do so for another 14 times, I couldn’t compete at the level I had been competing. That’s when I started focusing on developing a career in recruitment, first working at an agency in Sydney before joining Bullhorn as an account director - enterprise for the Asia-Pacific (APAC) market to manage customer relationships. It’s been remarkable working with some of the biggest enterprise agencies in APAC, and it’s been great continuing to utilise some of the skills that I learned as an international taekwondo athlete (not the actual fighting, of course!). Before fights, I ensure that I’m mentally prepared for them and anything that might come my way during them. Taekwondo is as much mental as it is physical so I mentally focus on the task at hand. And I don’t want any distractions while I prepare. At one fight, one competitor sat next to me and discussed previous matches, but my coach knew that I needed to be in my zone so he interfered and halted the conversation. Sitting in solitude before fights allows me to devise various strategies in my mind about how I want to approach matches. How should I save my energy for the next fight or two? How should I quickly defeat my competitor? How should I leverage new kicks and at what point in the fight should I use them? This visualisation is liberating, and it’s how I’ve built my game. In enterprise sales, preparation is essential for success. Before pitching prospects, we study their businesses to understand their objectives, operations, and competitors so we’re prepared to have engaging conversations with them. Before meeting with clients, we ensure that our agendas are clearly set with them and work directly with them to iterate on meeting materials so we can have open and honest dialogues with them. Our consultative approach enables us to personally tailor discussions and solutions to match our customers’ business strategies and help them reach their goals. When I was 16 years old, I was selected as one of two Australian athletes to spend three months at Hanzhong University in South Korea, studying taekwondo, which is the country’s national sport. This opportunity meant that I was about to practise with elite athletes who were incredibly motivated to not only fight, but also to represent their country. At the university, we trained eight hours per day, five to six days per week, no matter the weather - rain, snow, hail, sun; there weren’t any excuses. We started our first sessions at 5 a.m. local time and ended our last sessions at 10 p.m. local time. Recognising that this university experience was once in a lifetime, I was driven to succeed and hone my taekwondo skills. Working in enterprise sales, motivation is critical, especially for everyone on our team. Why? Because it means that we’re inspired to collaborate with our prospects and customers. As a global team, we’re agile so we work against all types of priorities and deadlines to complete tasks and make our prospects and customers satisfied. We learn fast so we can ramp up quickly on new accounts or use our expertise to deepen existing relationships. We always operate as a team, delegating up and down to teammates because we’re all focused on shared goals and delivering excellence to our prospects and customers. Needless to say, we’re motivated to make differences for them. When I competed at a selection event in Melbourne for the British Open, I had three fights in one day, which might not seem like a lot, but, physically, it’s quite demanding. My strategy for approaching these fights was to end the first one as quickly as possible, leaving more energy for the remaining two fights. In the second round of the first fight, I threw a left-leg roundhouse kick - a move where I forced my left leg around in a semicircular motion and struck my opponent with the front of my leg - that resulted in my very first knockout. Fast forwarding to the final fight in the same tournament, I defeated a more experienced international fighter, who was also five years older than me, by one point. It marked my quest to relentlessly attain the best results in my athletics. In enterprise sales, we work to achieve the best outcomes for our prospects and customers who are putting the world to work. To accomplish this goal, we rely on our team - comprised of individuals of all experiences, backgrounds, and levels - to create incredible customer experiences. We enable our prospects and customers with technologies and strategies so they can become more productive and efficient in their work, allowing them to grow their existing businesses or establish new operations. It’s tremendously rewarding because at the core of any strong customer relationship is a true partnership. When we work together, we can achieve the best. Competitive taekwondo has taught me self-discipline, problem-solving, and independence. It has also allowed me to establish new personal relationships with coaches and athletes all over the world. And, of course, it has helped me create knockout experiences for recruitment agencies. 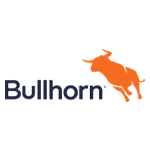 Lauren Thom is an account director - enterprise, APAC for Bullhorn, the global leader in CRM and operations software for the recruitment industry.